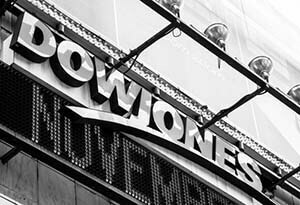 Futures for the Dow Jones Industrial Average today (Monday, Oct. 5, 2015) were up 96 points as traders began to eye fourth-quarter earnings reports and mixed economic data. On Friday, the Dow Jones Industrial Average reversed from a downturn in the morning and gained more than 200 points as energy stocks surged on rising oil prices. This morning, the U.S. Labor Department announced the unemployment rate remained unchanged at 5.1%. The economy added just 142,000 jobs in September, a significant miss from economic consensus expectations of 203,000. The markets gained as investors anticipated the U.S. Federal Reserve is now less likely to boost interest rates during the next FOMC meeting. The markets now predict odds of a little more than 50% that the Fed will tighten monetary policy in March 2016. The Stock Market Today: On Friday, the Bureau of Labor Statistics released the September unemployment rate, which remained unchanged from August at 5.1%. This morning, futures were on the rise as traders no longer anticipate that the Federal Reserve will raise interest rates in 2015, as the new target date has been set for March 2016. Friday's jobs report was weaker than expected, and the lower than anticipated job creation rate led many to anticipate this delay. Despite the market's outlook, Boston Federal Reserve Bank President Eric Rosengren said that he still justified a rate hike in either October or December. Oil Outlook: Oil prices were on the rise as Russia raised concerns about the impact of the low oil price period on its economy and has considered a broader conversation with OPEC. Meanwhile, a declining rig count in the United States is pushing WTI prices higher. This morning, WTI prices gained 1.1% to hit $46.06 per barrel. Meanwhile, Brent crude prices were up 1.5% to $48.87. Shares of Chevron Corp. (NYSE: CVX) and Exxon Mobil Corp. (NYSE: XOM) were both up more than 1% in pre-market hours. Pre-Market Movers No. 1, GE: Shares of General Electric Co. (NYSE: GE) jumped nearly 4% in pre-market hours on news that activist investor Nelson Peltz and his hedge fund Trian Fund Management has built a 1% stake in the organization. Peltz's position represents a $2.5 billion stake. Pre-Market Movers No. 2, ONCE: Shares of Spark Therapeutics Inc. (Nasdaq: ONCE) soared 60% after the firm reported strong results in a late-stage study for its experimental eye drug. Pre-Market Movers No. 3, APP: Shares of American Apparel Inc. (NYSE: APP) dropped nearly 25% this morning after the retailer filed for Chapter 11 bankruptcy protection. The announcement comes a year after its board of directors ousted controversial CEO Dov Charney over multiple allegations of personal misconduct. According to reports, the firm highly doubts that it will remain in business. Stocks to Watch No. 1, TWTR: Shares of Twitter Inc. (NYSE: TWTR) are on the rise after its board has made Jack Dorsey its permanent CEO. Dorsey is a co-founder of the company and was its first chief executive officer until he was displaced in 2008. Meanwhile, traders are bullish on the stock after a new report from Wedbush suggested the micro-blogging firm has the capacity to rival Facebook Inc. (Nasdaq: FB) in terms of global reach. Stocks to Watch No. 2, POT: Shares of Potash Corp. (NYSE: POT) were up more than 4.4% this morning on news that company has withdrawn a possible takeover bid for European salt and potash supplier K+S AG. The abandoned deal was worth up to 7.85 billion euros ($8.8 billion). Gallup US Consumer Spending Measure at 8 a.m.